Facility will more than double in size to accommodate growth of Repreve brand. Pictured above, from left: Unifi Polyester Operations Manager Barry Shore, Unifi Vice President of Manufacturing Tom Caudle, Unifi President and Chief Operating Officer Roger Berrier, Unifi Chairman and Chief Executive Officer Bill Jasper, President of Economic Development Partnership and Executive Director of Yadkin County Chamber of Commerce Bobby Todd and President of Omega Construction Barry Hennings. Unifi Inc., Greensboro, North Carolina, has broken ground on the 85,000-square-foot addition to its Repreve Recycling Center in Yadkinville, North Carolina, which originally opened in 2011. The expansion will increase the facility’s capacity to produce Unifi’s recycled fiber brand, Repreve, and other premier value-added products (PVA) by up to 60 million pounds, the company says. The $10 million investment will add an estimated 18 to 20 new jobs in the Yadkin County area in the future. The recycling center addition is estimated to be finished in spring of 2016 and is being completed by North Carolina-based Omega Construction Inc. 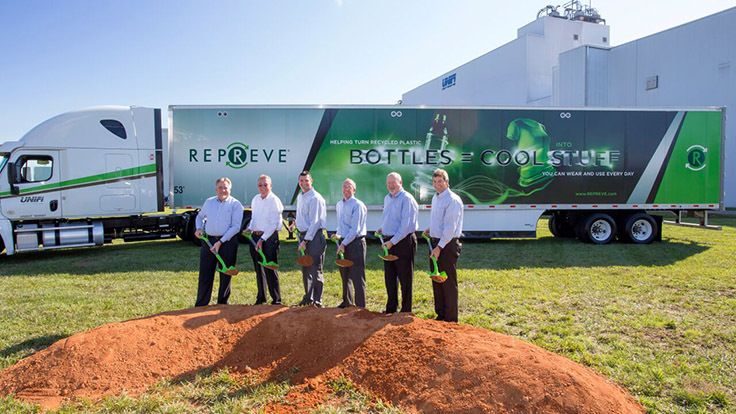 The additional investment in the Repreve Recycling Center supports Repreve’s growth as a result of new and expanding value-added programs with customers and increased consumer demand for environmentally responsible products, Unifi says. building materials with recycled content. Additionally, a newly installed solar farm could provide roughly 10 percent of the energy at the Repreve Recycling Center. The solar farm has a 1-megawatt capacity and sits on 6 acres of land at Unifi’s G. Allen Mebane Industrial Complex in Yadkinville. Unifi is a multinational manufacturing company that produces and sells textured and other processed yarns and premier value-added (PVA) yarns with enhanced performance characteristics. 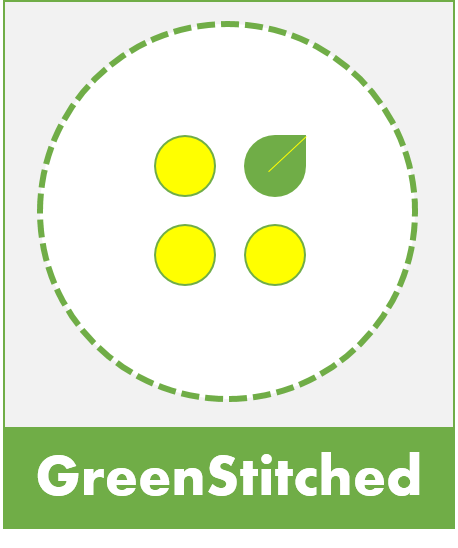 Its Repreve line is a family of yarns made from recycled materials, including preconsumer manufacturing scrap and postconsumer plastic bottles. REPREVE can be found in many products, ranging from apparel to office furnishings. It is also used in industrial, automotive and medical applications. **This post first appeared on Recycling Today here. This entry was posted in Manufacturing, Recycling and tagged REPREVE, Unifi.